The industrial sugar market is dominated by the food and beverage industry, with the pharmaceuticals industry also claiming a notable share. The rising demand for several types of fast food and beverages is thus an influential factor for the global industrial sugar market. Industrial sugar constitutes a major part of the global sugar market and is expected to retain a significant share in the latter in the coming years, with steady growth expected in the demand for industrial sugar. Demand from the global industrial sugar market is dominated by the confectionery industry, which includes chocolates, chewing gum, candied nuts, and sweets. The rising demand for a wide variety of confectionery products is likely to remain a key driver for the industrial sugar market in the coming years. The rising population in emerging markets, where Western confectionery brands have made an appearance relatively recently, and their rising disposable income are also an influential factor for the global industrial sugar market. The major trend affecting the global industrial sugar market is the rising demand for packaged and fast food. The steady growth of the fast food market in developed regions such as North America and Europe, helped by the steady rise in the prosperity of countries such as the U.S., the U.K., France, and Germany, has propelled the industrial sugar market at a steady rate. 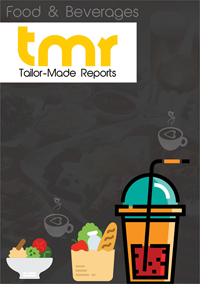 The rapid expansion of the fast food sector in emerging regions in recent years has presented promising growth prospects for the global industrial sugar market. Although there are booming local fast food markets in many emerging countries, very few of them are industrialized to the degree of Western fast food chains. However, many regional food producers are now starting to industrialize their operations, which could be a key driver for the global industrial sugar market in the coming years. The rising production of sugar crops and the economic consequences thereof are a crucial factor for the global industrial sugar market. Sugar crops are highly favorable economically, which has driven their production across the world in recent years. The beet root sugar market, for instance, has exhibited a solid rise in the last few years and is likely to remain a key part of the global industrial sugar market. However, sugar crops constitute a monoculture with high water needs. This has the potential to restrict the industrial sugar market’s growth in the coming years, as water conservation becomes more important. The rising use of alternative sweeteners for cooking could also adversely impact the global industrial sugar market. The key issue to bear an impact on the global industrial sugar market’s growth in the coming years is the rising concern about the ecological and economic impact of large-scale sugar crop plantations. In Hawaii, a leading producer of sugar, activists succeeded in late 2016 to shut down industrial sugar plants. The monoculture planting of sugar crops is reported to have had a major impact on the island country’s economic dynamics, wherein more than 90% of Maui’s water is in private control and is diverted to agricultural use. Several activists behind the move are aiming to convert Hawaii into a producer of organically, sustainably grown crops. Incidents such as this are likely to flare up in the coming years thanks to the inevitability of the adverse ecological impact of the industrial sugar market. Asia Pacific is likely to remain the leading regional market for industrial sugar in the coming years. India holds a dominant share in the Asia industrial sugar market and is expected to remain a leading player in the global industrial sugar market due to the presence of a socioeconomic system based around the cultivation of sugar crops. The environmental conditions in Southeast Asia are ideal for sugarcane cultivation, due to which countries such as Thailand, China, Pakistan, Indonesia, and the Philippines are also among the leading producers of industrial sugar in the global market. The booming Brazil market, the leading producer in the global industrial sugar market, is likely to propel the Latin America market for industrial sugar in the coming years. Leading players in the global industrial sugar market include Archer Daniel Midland, Sudzucker AG, Raizen SA, Tereos, and Cargill Incorporated. Many of these players are keen to enter the lucrative industrial sugar market in developing economies, which could lead to consolidation or collaboration activities with local industrial sugar producers.